Should You Update ZTE Axon Pro to Android 6.0 Marshmallow? 1 Comment on Should You Update ZTE Axon Pro to Android 6.0 Marshmallow? ZTE recently released the Android 6.0 Marshmallow for its Axon Pro device. It brings Android 6.0 on the Axon Pro and comes with all the standard Marshmallow packages including Doze, Now on Tap, and more. ZTE also introduces a new app drawer. You can check out all the update features from the ZTE page. Link in he sources below. But before you go or apply the update, check out the bugs as well. Amid all the Marshmallow craze, comes several bugs as well. The update isn’t impressive for all. The users are facing many issues with it. The major ones are the stock launcher crashing, no Dolby Sound, high RAM usage and more. Even though it is a major update that weighs over 800 MB, it is full of bugs. 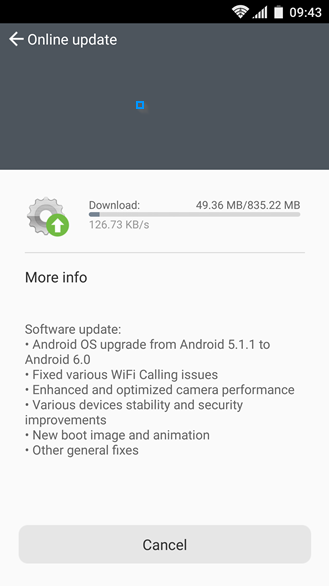 Thanks to XDA Forum members we now know what comes with the update. Some users are reporting stock launcher crashes. However, the problem can be alleviated by using a different launcher. Dolby Sound has gone missing. One user claims ZTE may have accidentally removed it. Average RAM usage has gone up considerably due to system apps being badly optimized…or maybe they’re just being rebellious? Annoying WIFI calling issue has been resolved. Well firstly, if you have not already updated, then you should wait until the next update pops up that could solve the bugs. However, if you have already updated, then you can revert back to the previous build by flashing the factory image. Hope ZTE is already working on the update and if that is true, then you may expect the update soon. Download the factory image for your device and follow the tutorial below. Updates messed my phone up bad.